Read Matts’s blog post about understanding unique mobile users, motivated by different things at different times. 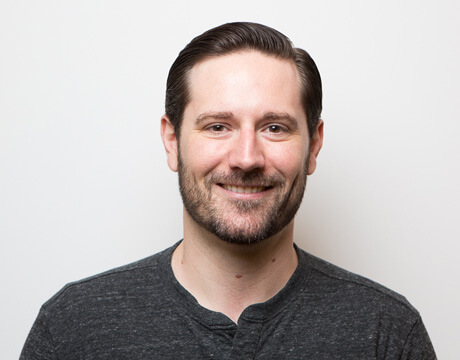 Matt Widdoes is the Operations Director, Performance Marketing at King. 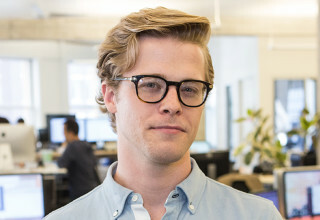 Although King is headquartered in London, Matt is based out of their San Francisco office. He provides the strategic direction of the performance marketing organization as it relates to partnerships, ad tech, emerging platforms and digital/traditional media buying. How did you get into mobile marketing? My first experience was helping various SMB’s with promoted posts and growing followers on social channels. This quickly transitioned to mobile campaigns focused on installs, purchase events and some lead generation stuff. Mobile marketing is constantly evolving and when platforms release new products I enjoy the process of figuring out the best way to leverage them. I’m a lifelong gamer and in many ways, mobile marketing is one big puzzle. What is the biggest mistake you made as a mobile marketer? I’ve made so many mistakes it’s kind of difficult to pick the biggest. Thankfully, I’ve never had an “I clicked a button and accidentally spent $1M” type of mistake, but plenty of small mistakes along the way. The first time I spent money on Facebook, I was trying to grow a startup’s likes to help develop a little social proof before entering the market. I bought a bunch of likes in the US for roughly $1.00/user. A few days went by before I realized that I could purchase likes for $0.01/user if I targeted places like Thailand or Guyana to get the same value. It’s through mistakes that we learn, so I’m a big proponent of testing, making mistakes, learning from them and getting back in the ring with a new plan. So many things. First and foremost you have to be okay spending a lot of time in spreadsheets or at least looking at numbers on a dashboard. You also need to have a high degree of empathy for your audience in order to make sound assumptions about how they might react to a piece of creative or a particular message. You have to be risk tolerant, willing to make mistakes, and closely adhere to the scientific method in order to succeed. What do you think are the main differences between marketing a gaming app vs a non-gaming app? I’ve never really marketed a non-gaming app, so I’m not really qualified to say. My guess is that for a lot of apps they’re much more focused on getting sign-ups and keeping retention metrics high given that they often will be driving revenue from the size and activity of their user base vs IAP. It really depends on the goals of the campaign and what type of app I’m promoting. In general, when it comes to gaming, it’s someone that downloads the app, frequently returns to play, frequently makes in app purchases, tells their friends, engages with the game on social media channels and goes on to download other games in the company’s portfolio. Listen to an interview with Matt on the Mobile Presence podcast. This isn’t an answer a lot of people want to hear, but the best strategy is having a killer game/app. Ultimately the product is what’s going to drive long-term engagement. With marketing we can gently nudge people further down the path with incentives or highlighting new features, but ultimately the product has to be excellent. The market is insanely saturated with a lot of really great apps. People only have so much time in their day so finding new ways to stay relevant and stand out in a sea of great games is, and will remain, a challenge. I read articles daily and have a few RSS feeds set up for different things. Friends and coworkers send a ton of articles my way as well. At King, I’m hyper focused on finding the latest and greatest tools, tech, and companies that are supporting the mobile marketing industry. If you know someone that’s doing something really cool in ad tech or data, tell them to email me. How important is diversifying user acquisition outside of Facebook? It’s insanely important to be diversified, and you could ask this same question about any platform/network. Ultimately our industry is about performance, whatever performance means to your app. I wouldn’t diversify solely for the sake of being diversified, if that makes sense. If you’re using Facebook and they’re giving you a higher quality user than you can find anywhere else at a specific cost, then diversification is less important, so long as you’re continuing to test other channels and they continue to do worse. However, in most any venture, I would avoid having all of my eggs in one basket. How important are the holidays to your business and what season is the biggest time for you? Really, every day is important for us. Tons of new devices are bought/received during the holidays so for most any app it’s a good window of time to get noticed and on someone’s phone. As a result, a lot of companies are very active during that time period, so it can get pretty competitive in terms of cost. 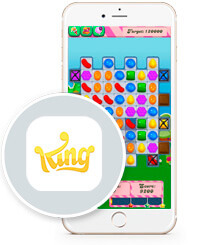 King is a leading interactive mobile entertainment company. They’ve developed more than 200 fun titles, and offer games that are enjoyed all around the world. King is an independent unit of Activision Blizzard Inc. (Nasdaq: ATVI), which acquired King in February 2016. Popular game franchises include: Candy Crush, Farm Heroes, Pet Rescue and Bubble Witch.